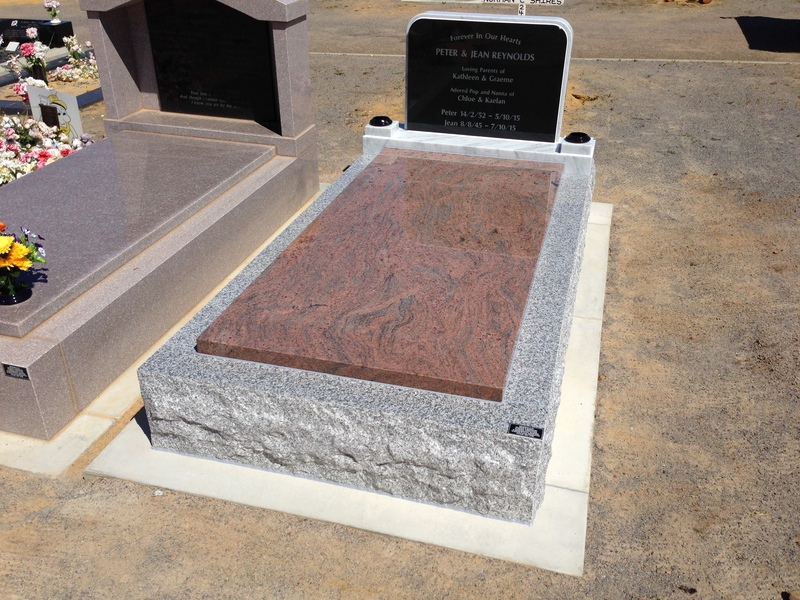 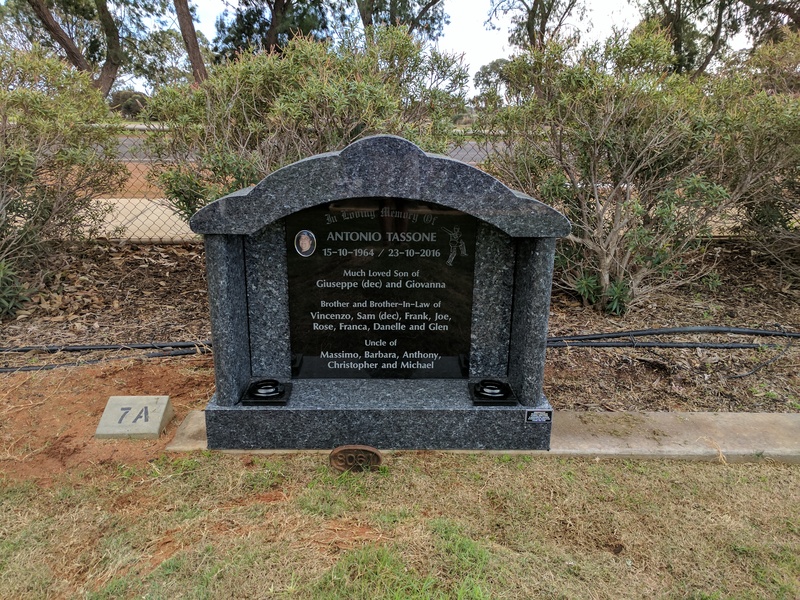 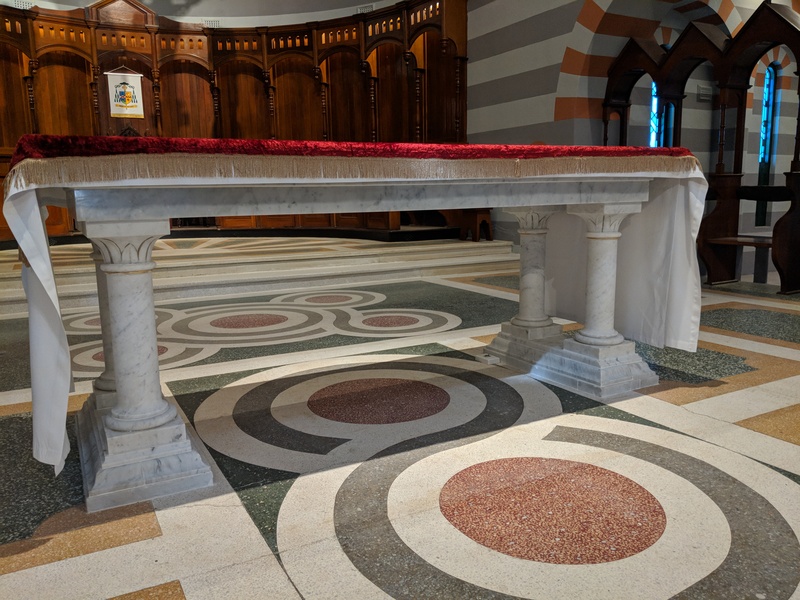 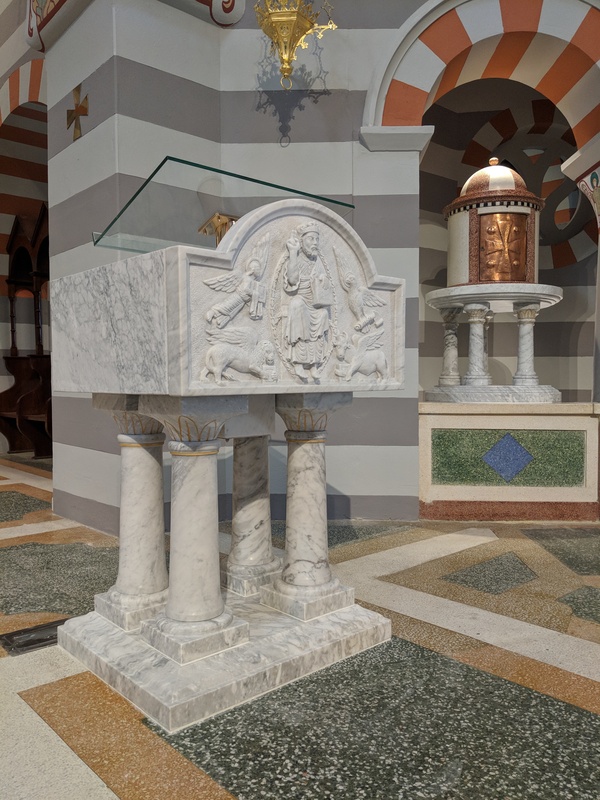 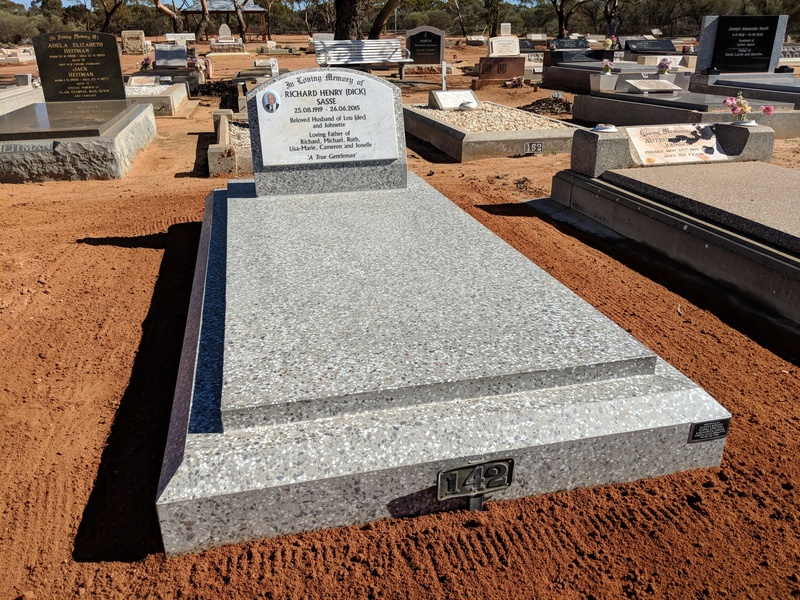 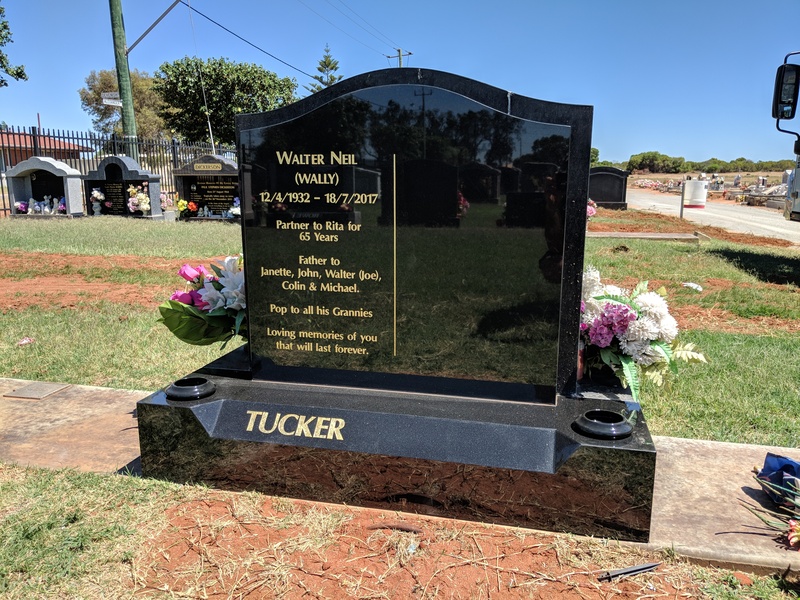 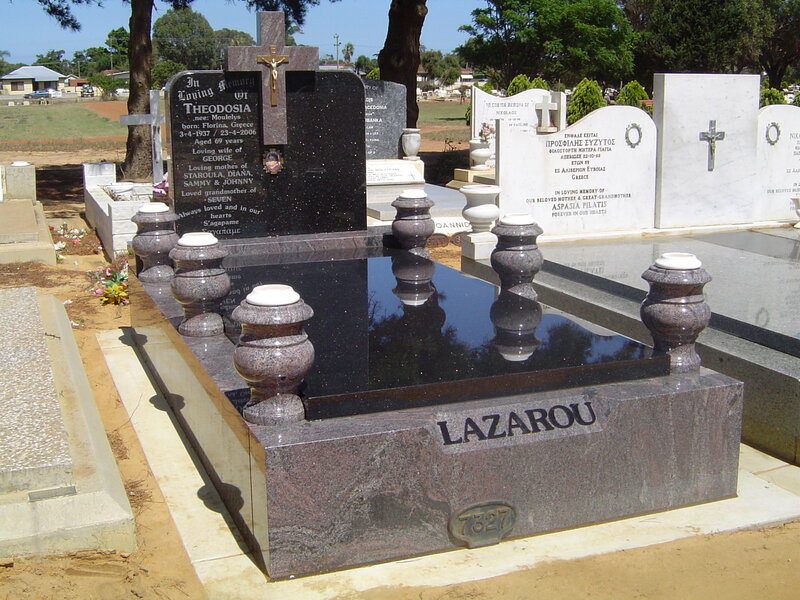 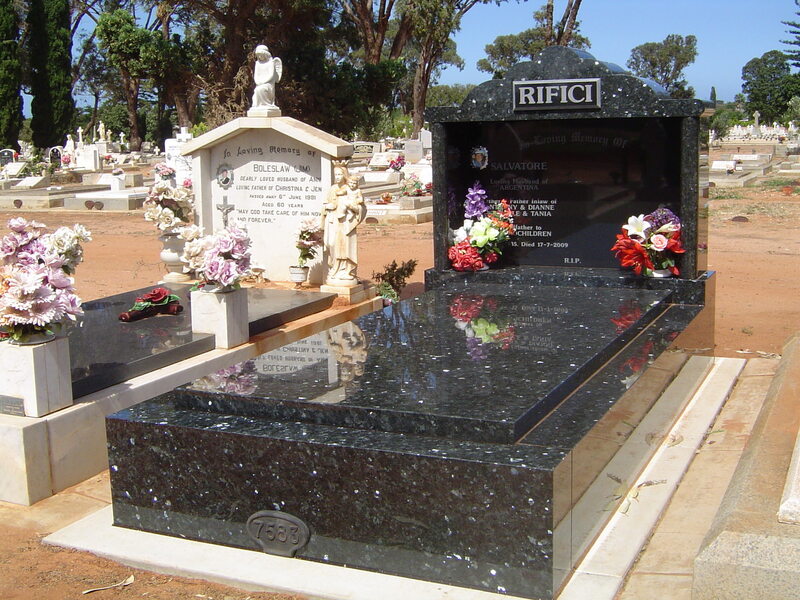 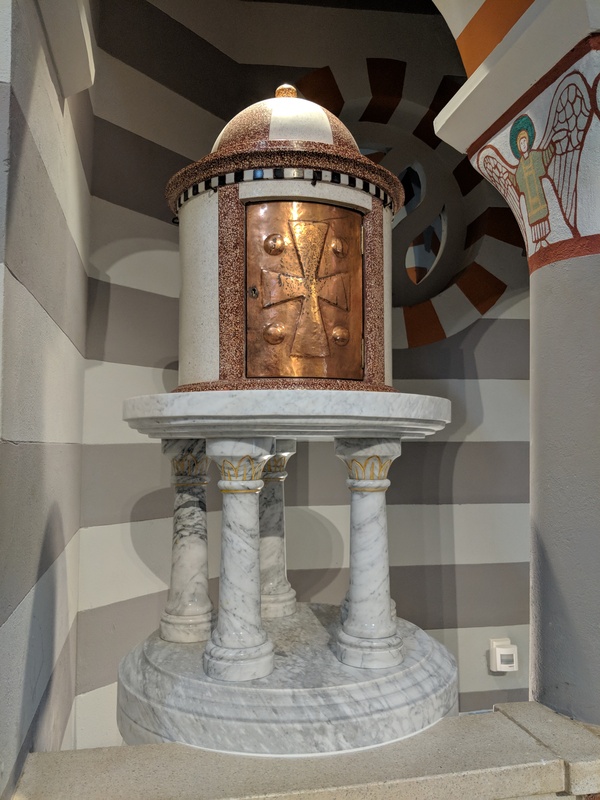 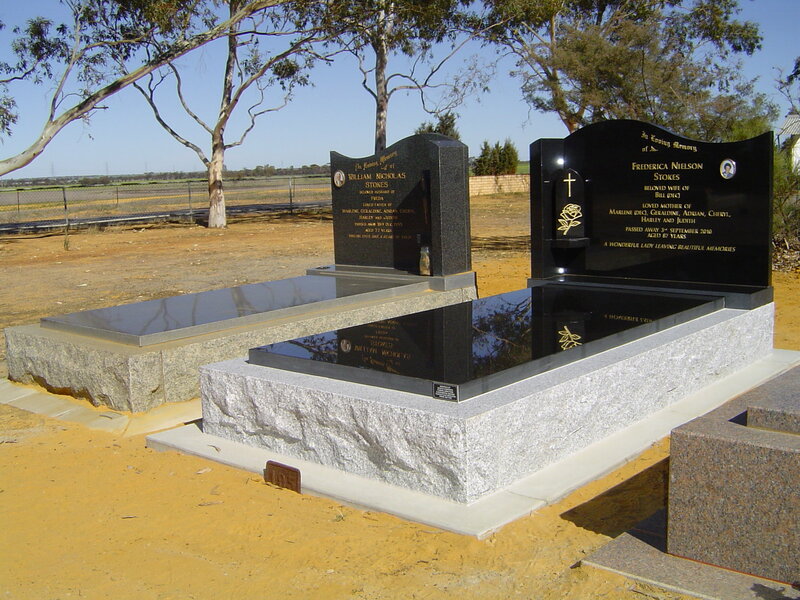 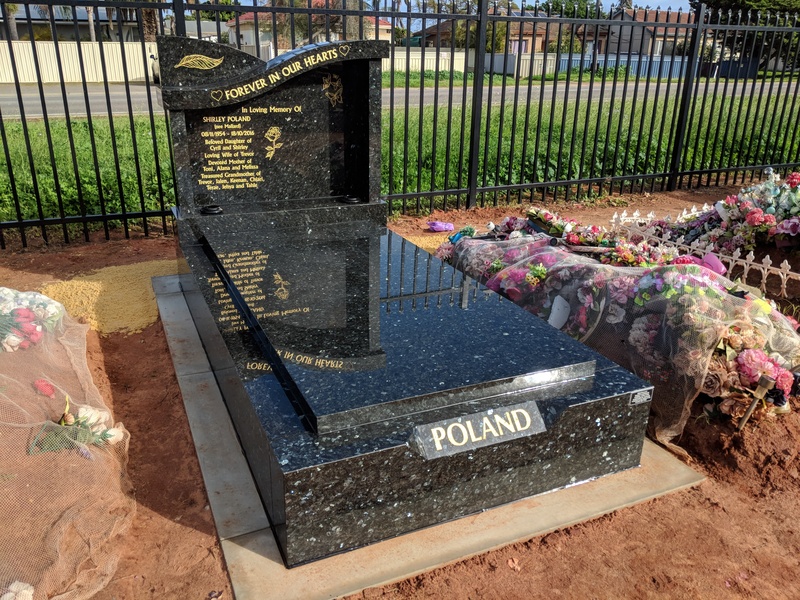 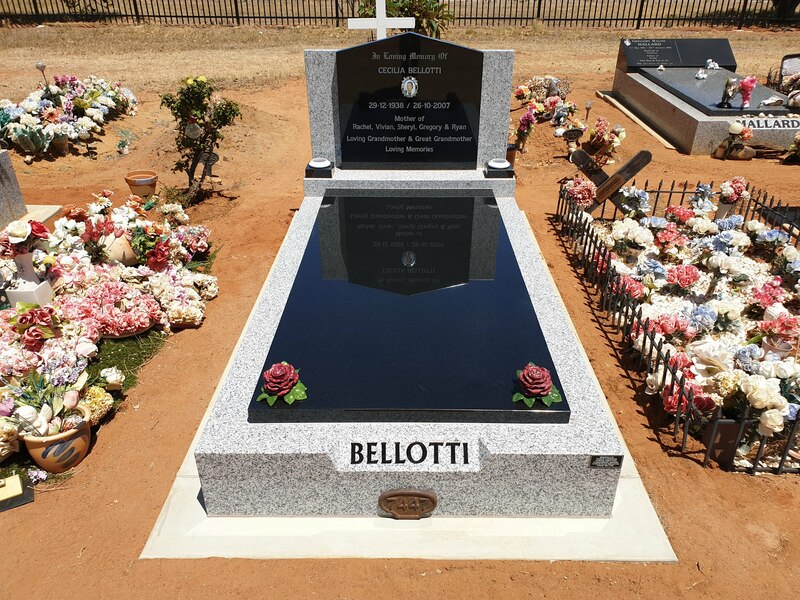 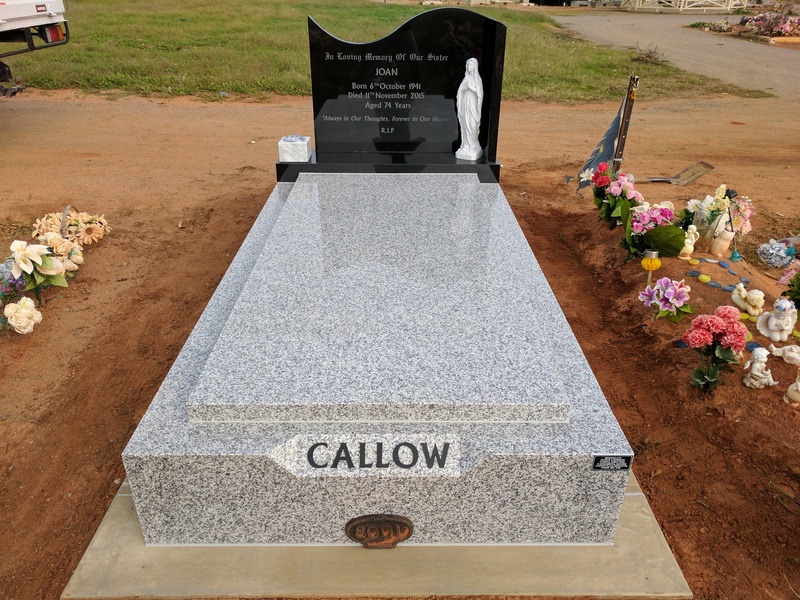 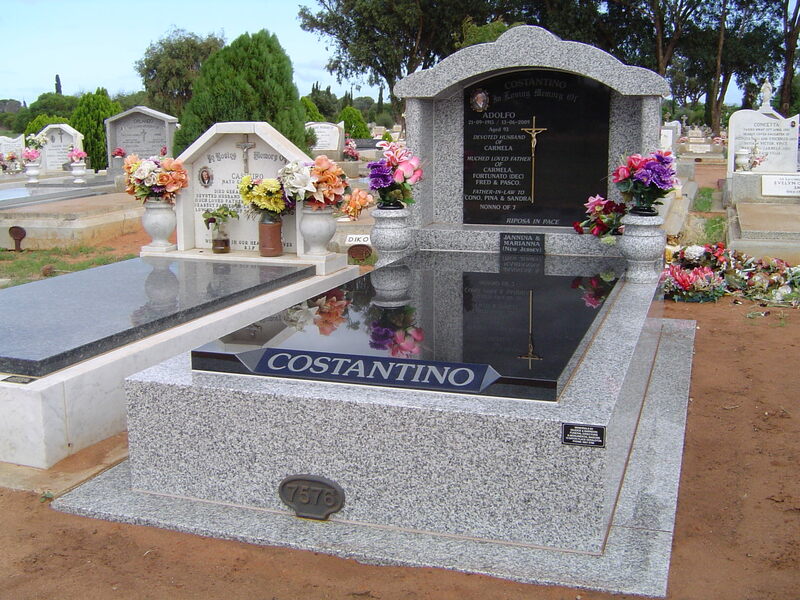 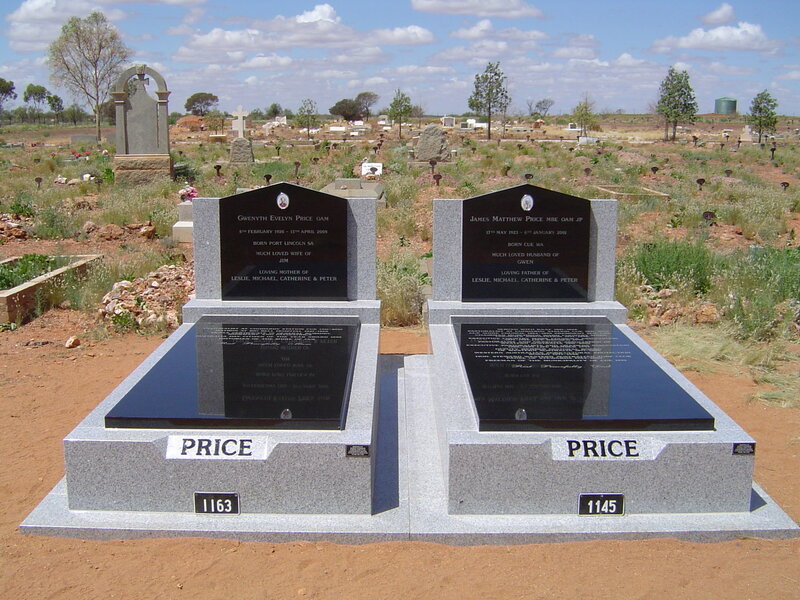 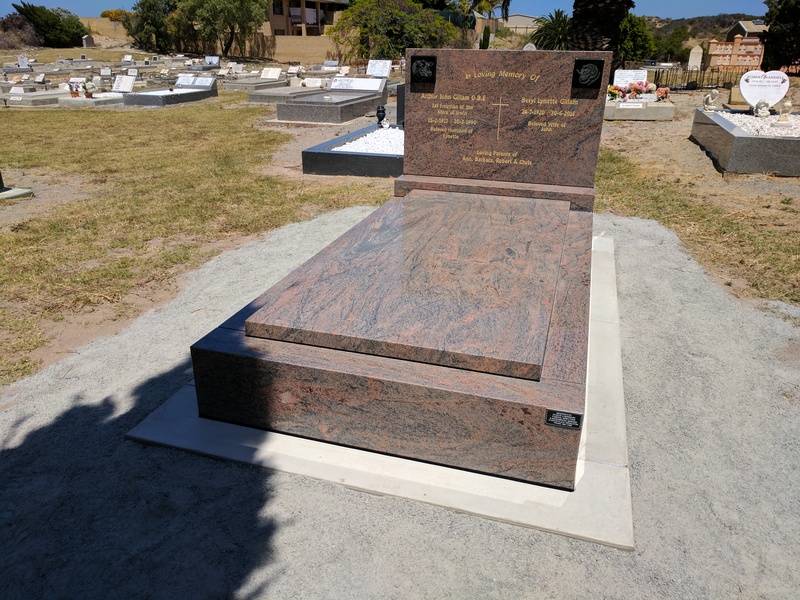 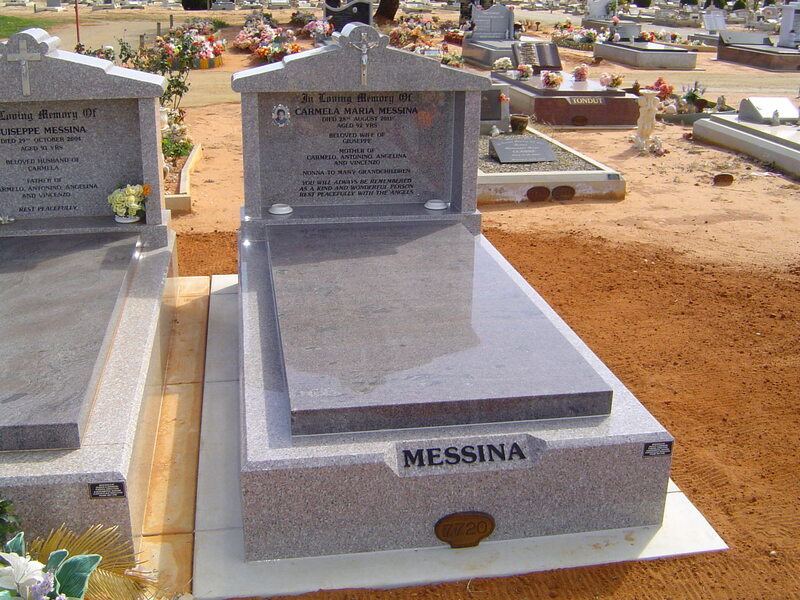 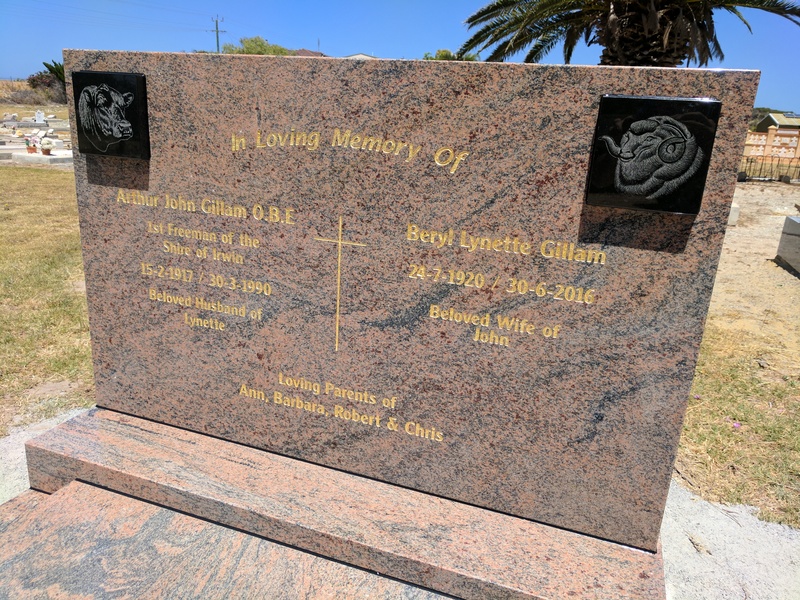 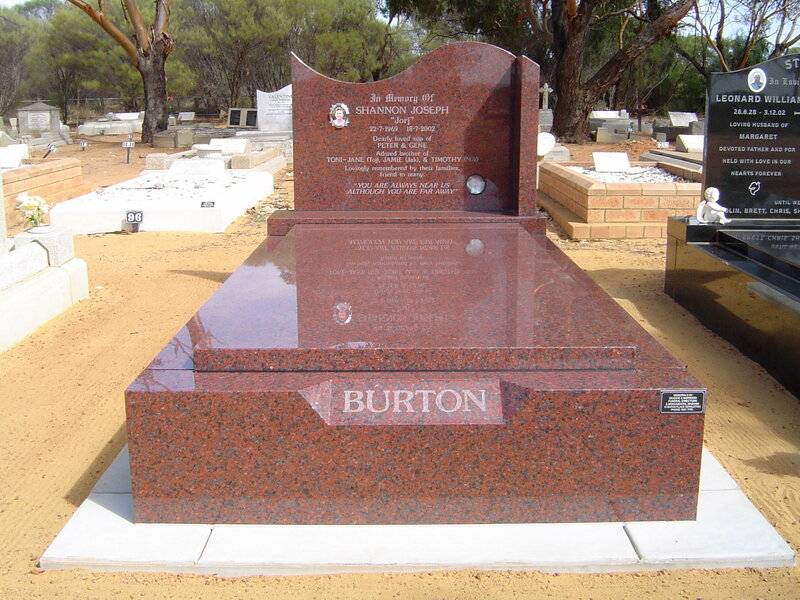 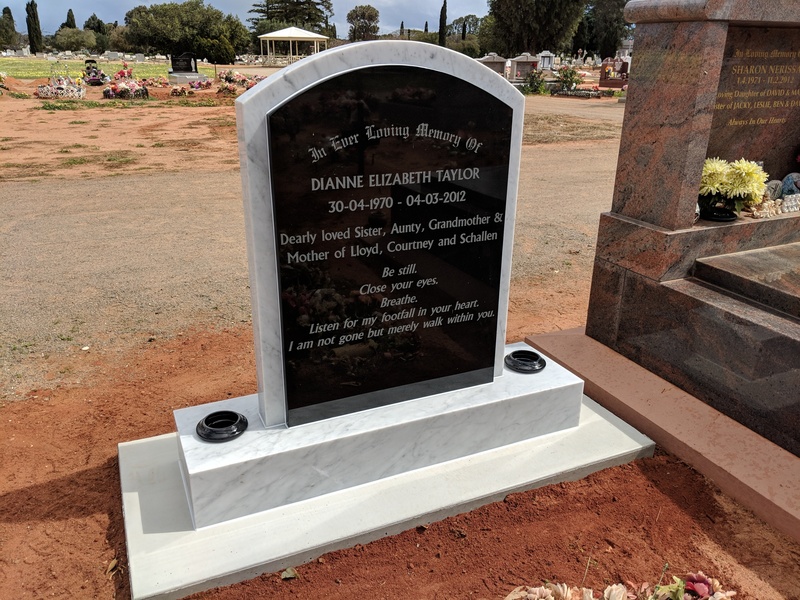 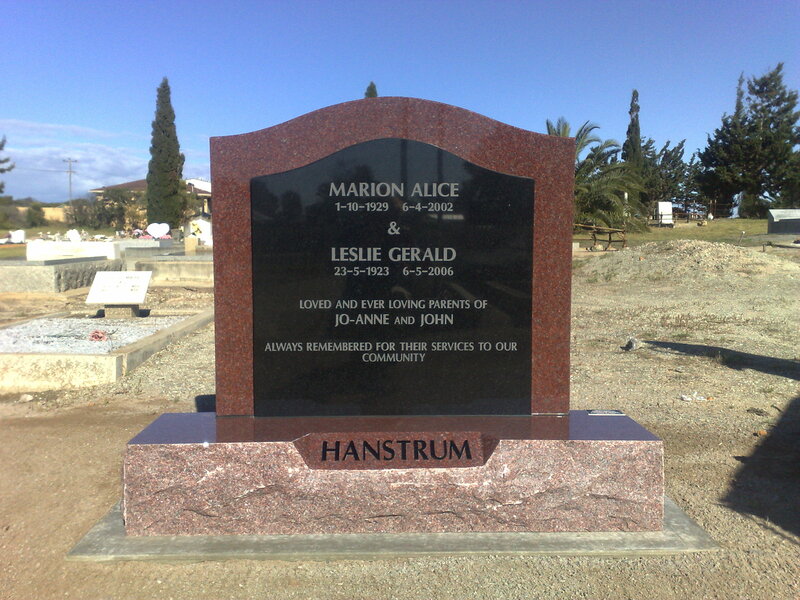 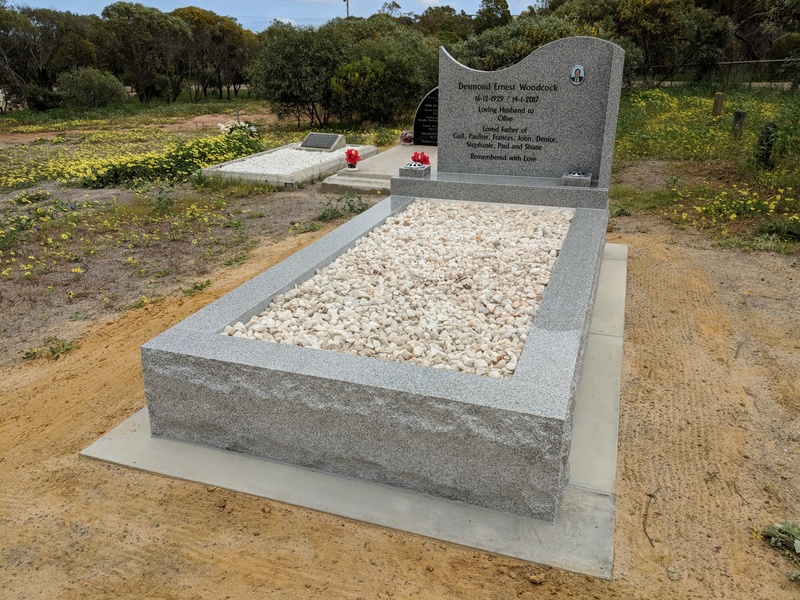 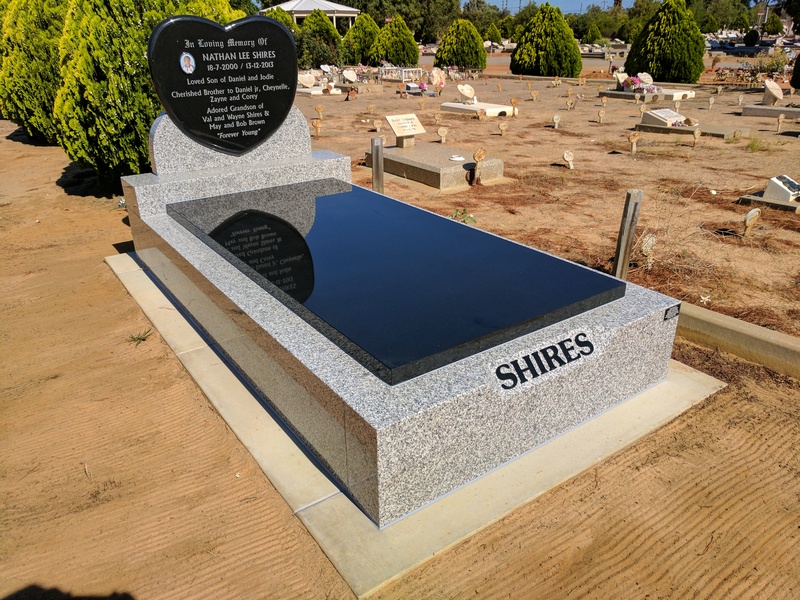 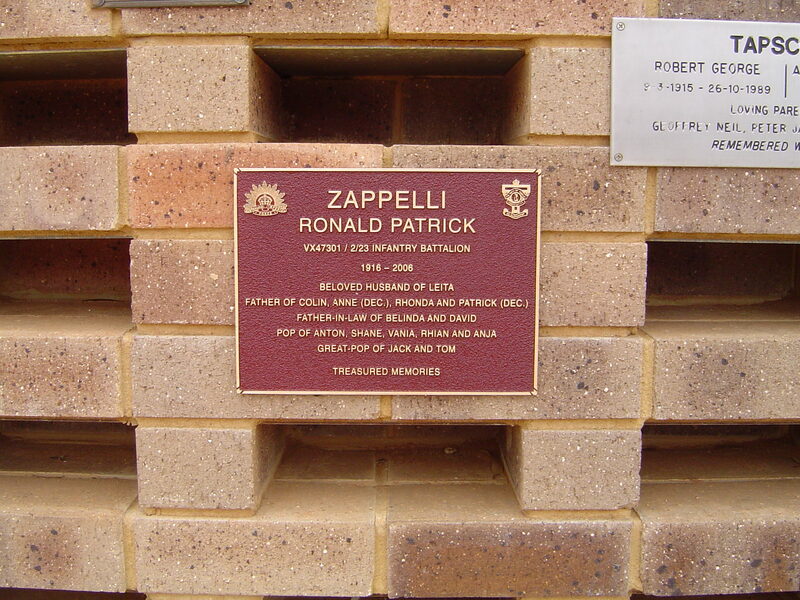 Giudice and Barndon locally manufacture a range of memorial headstones, monuments and plaques using natural granite and marble, concrete, terrazzo and bronze. 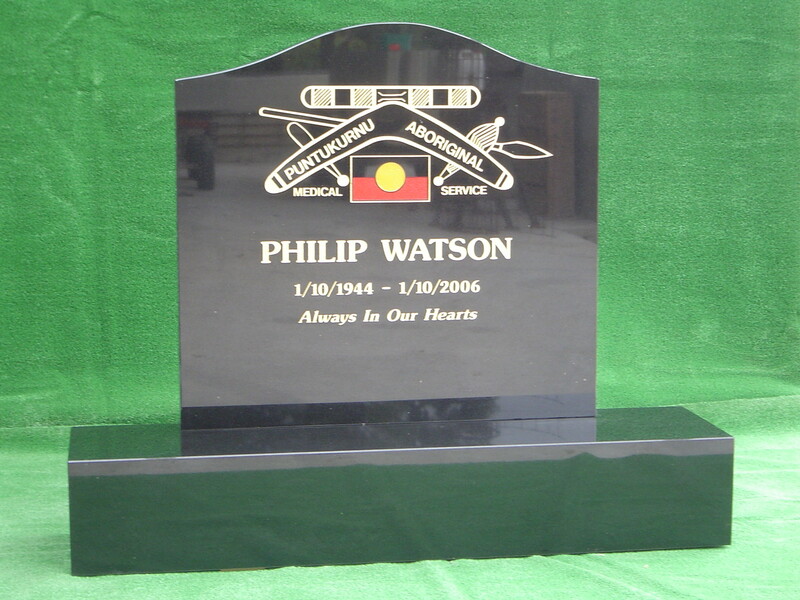 Accessories such as vases, statues, ceramic and bronze ornaments to personalise each memorial are also available. 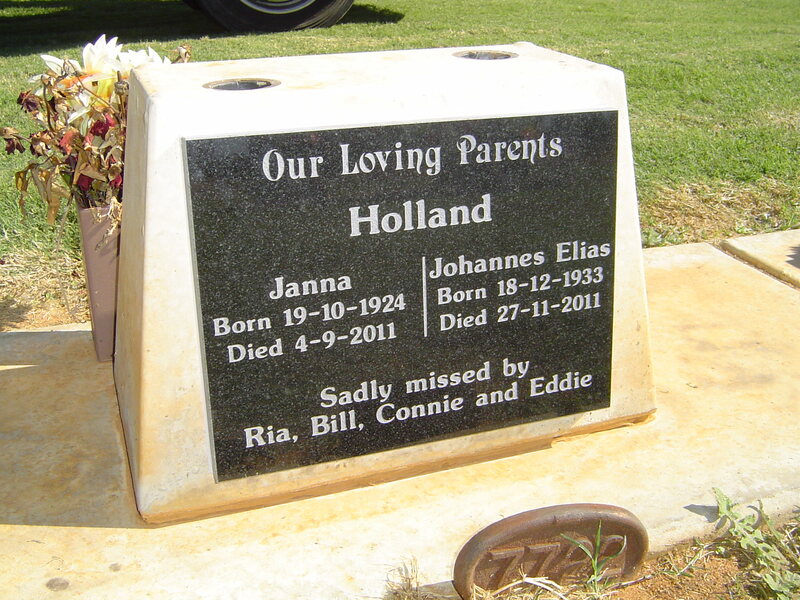 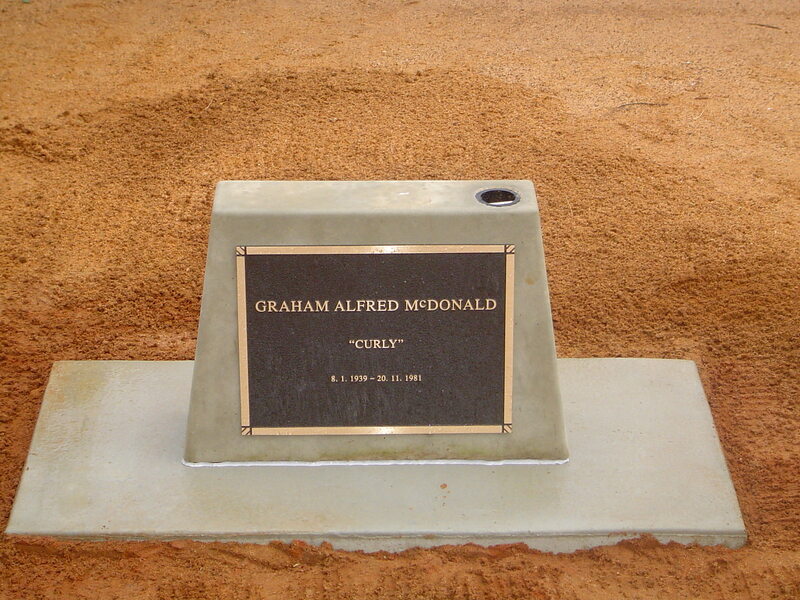 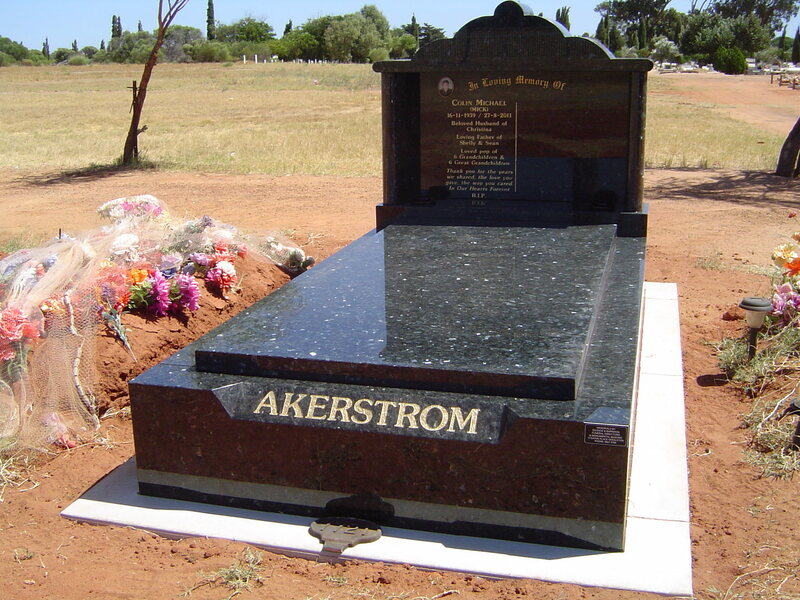 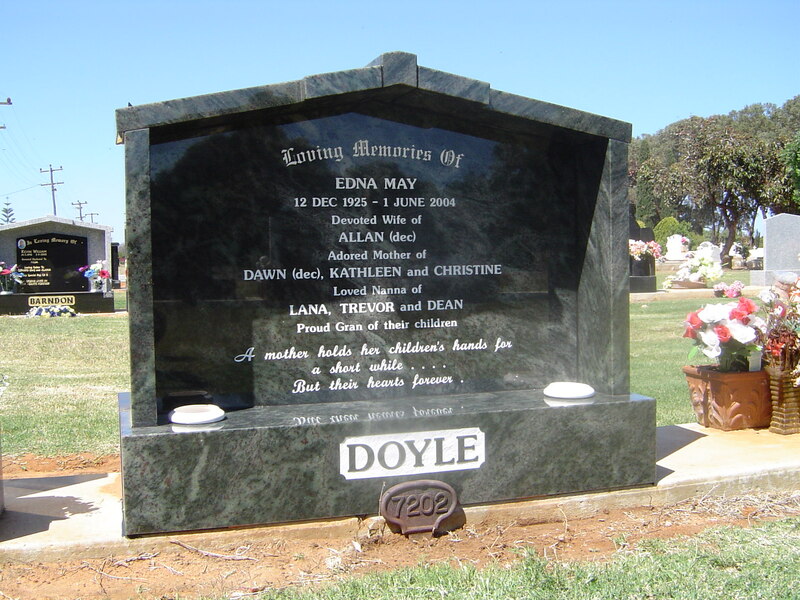 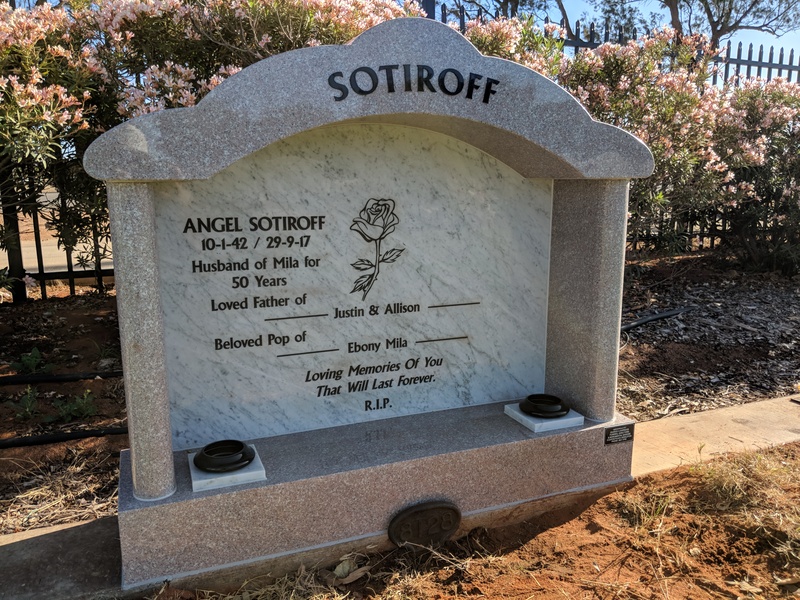 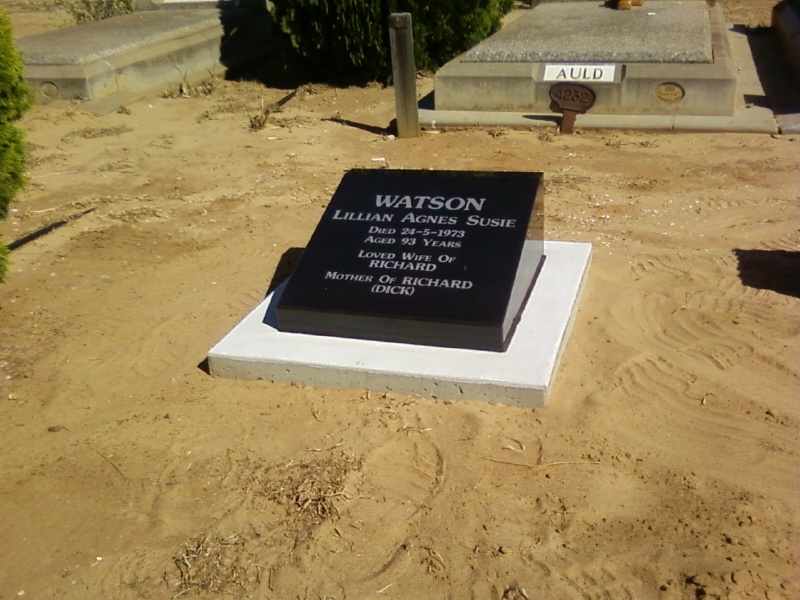 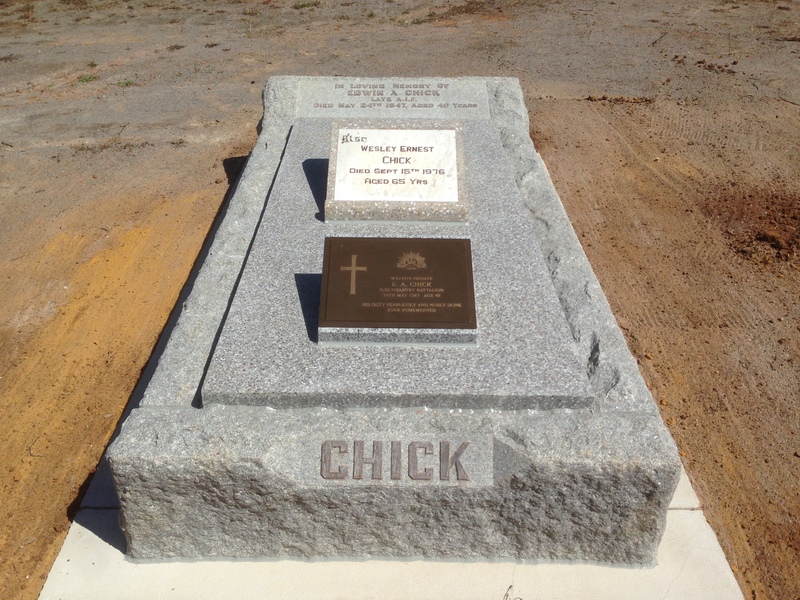 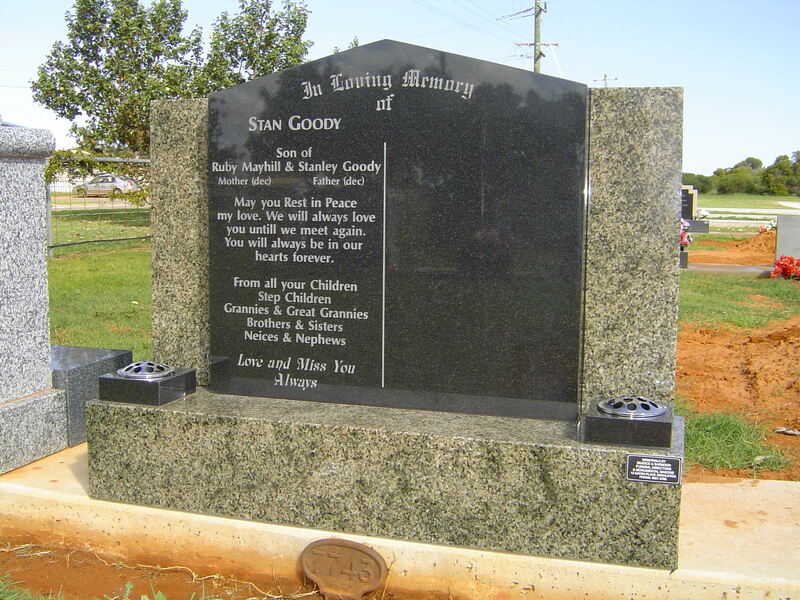 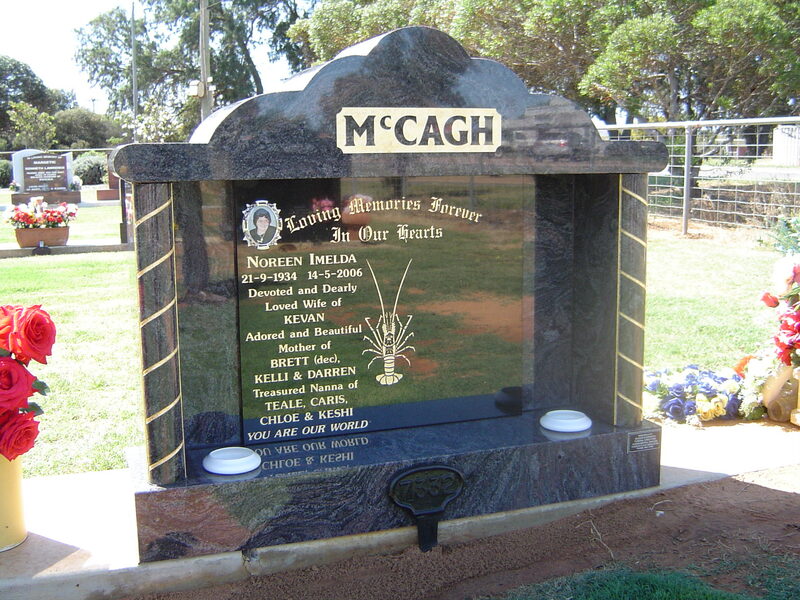 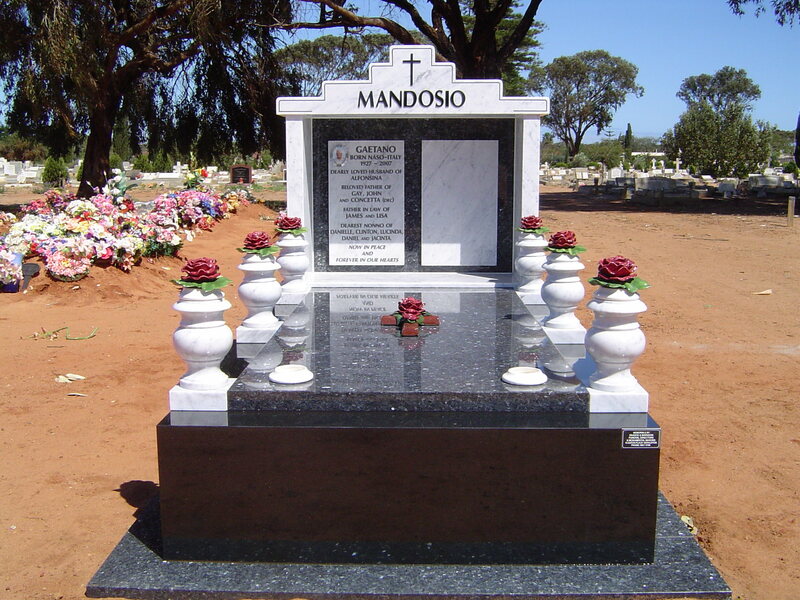 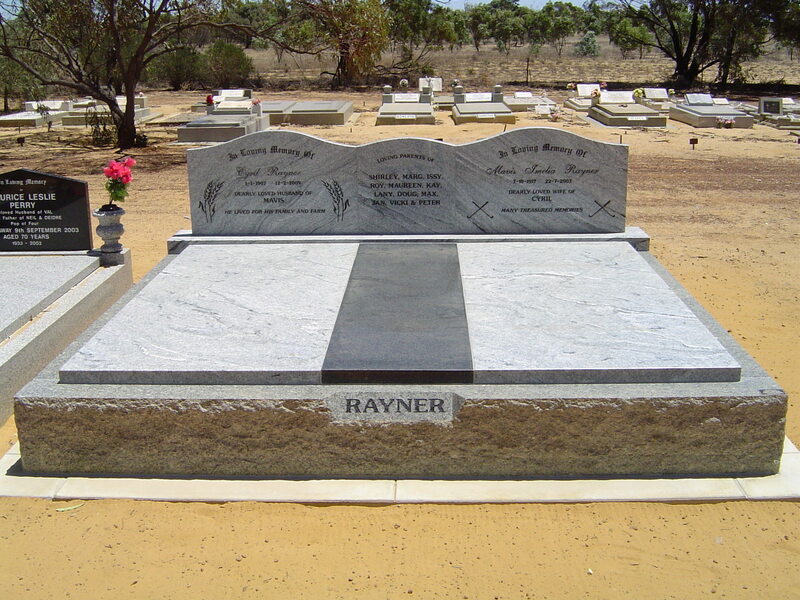 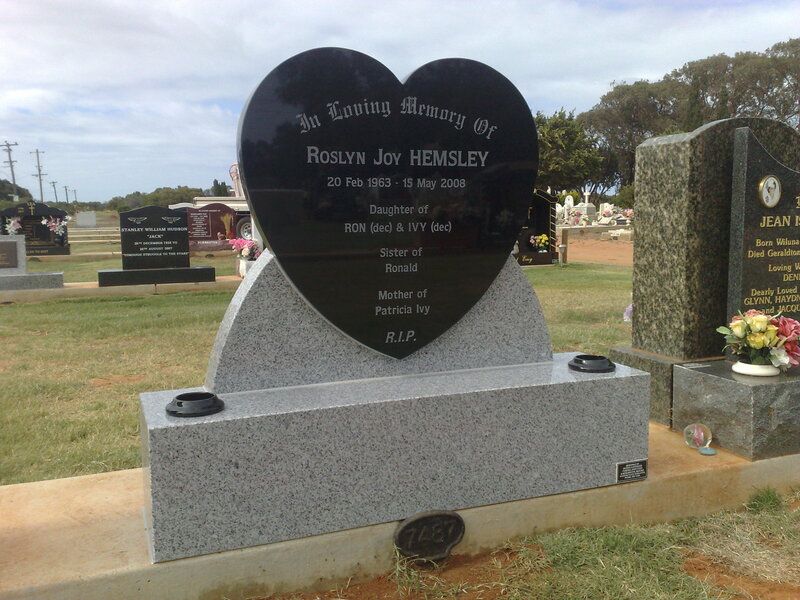 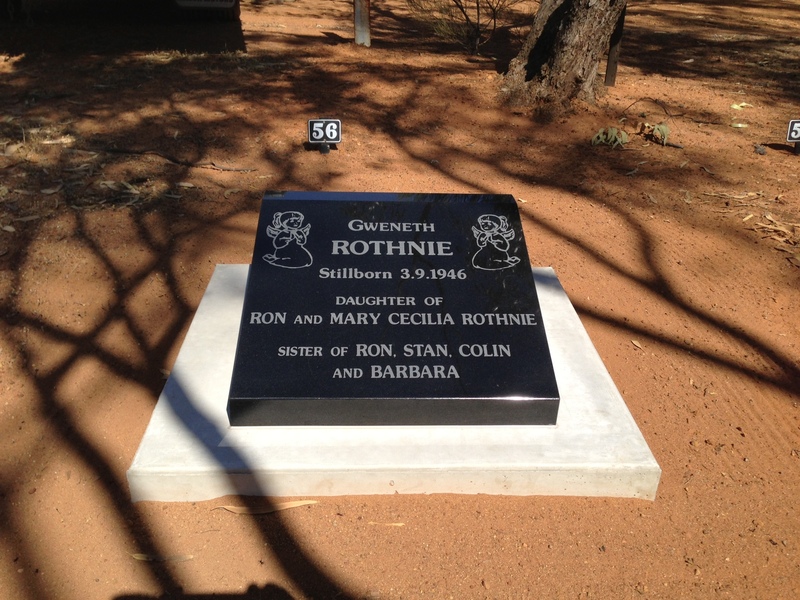 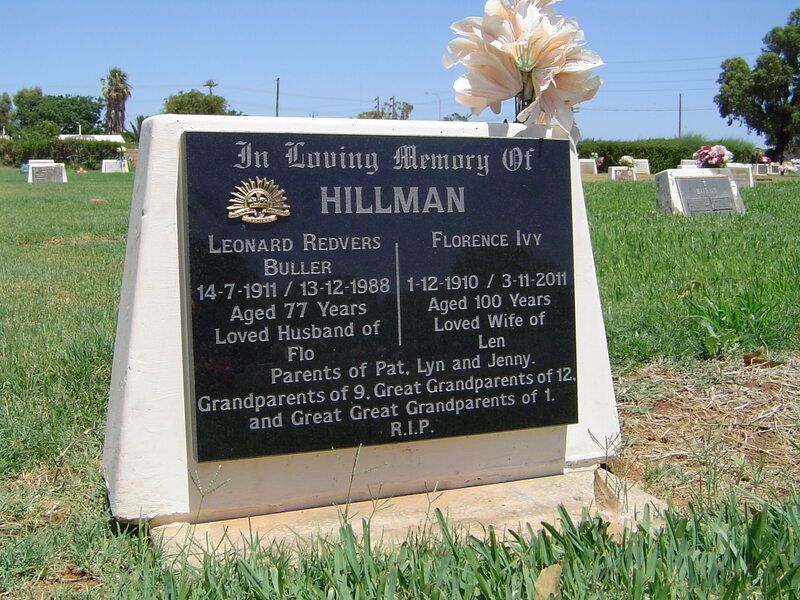 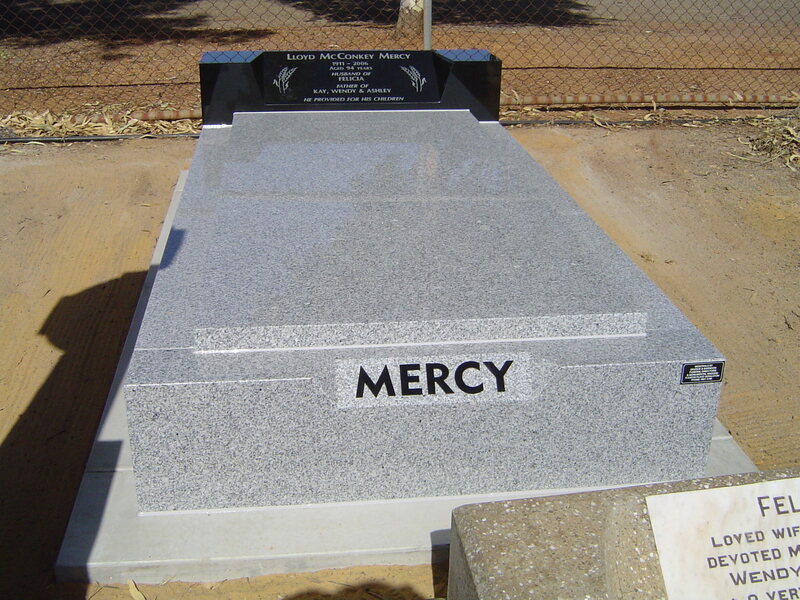 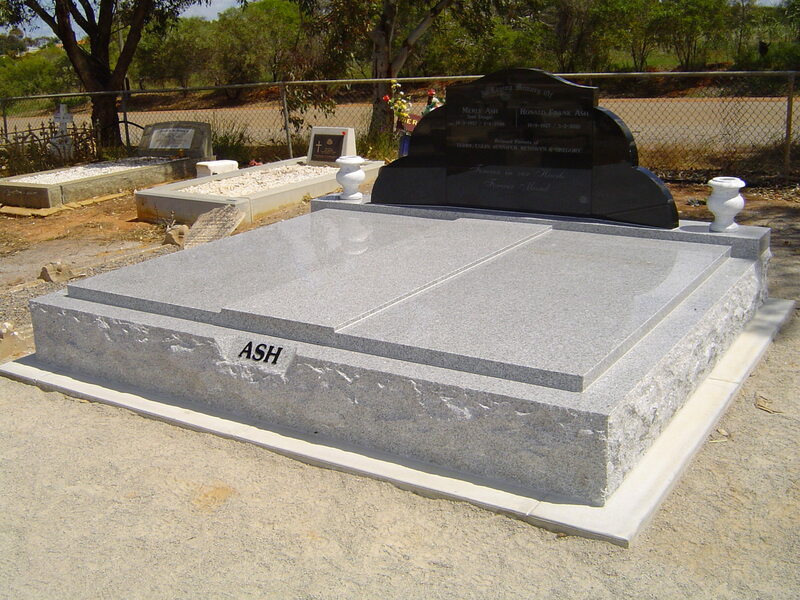 Memorials are designed to suit any part of the cemetery, including lawn, denominational and garden areas. 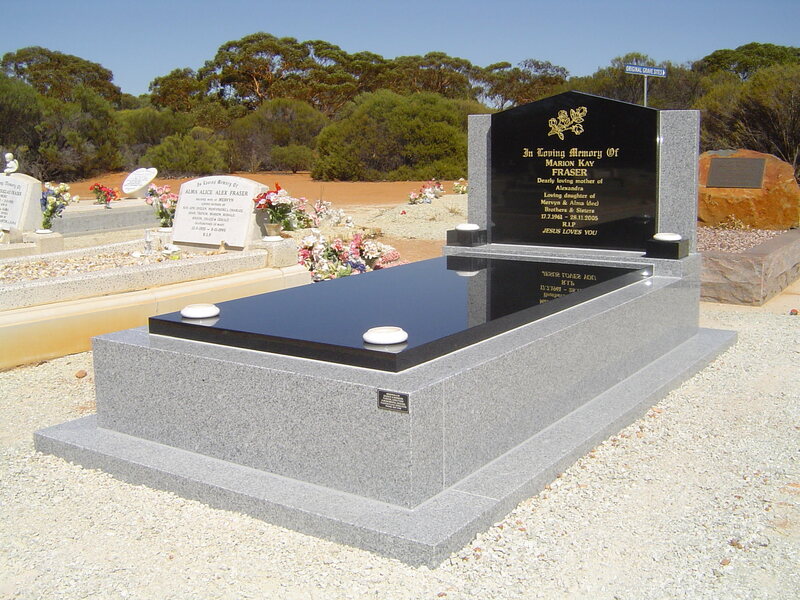 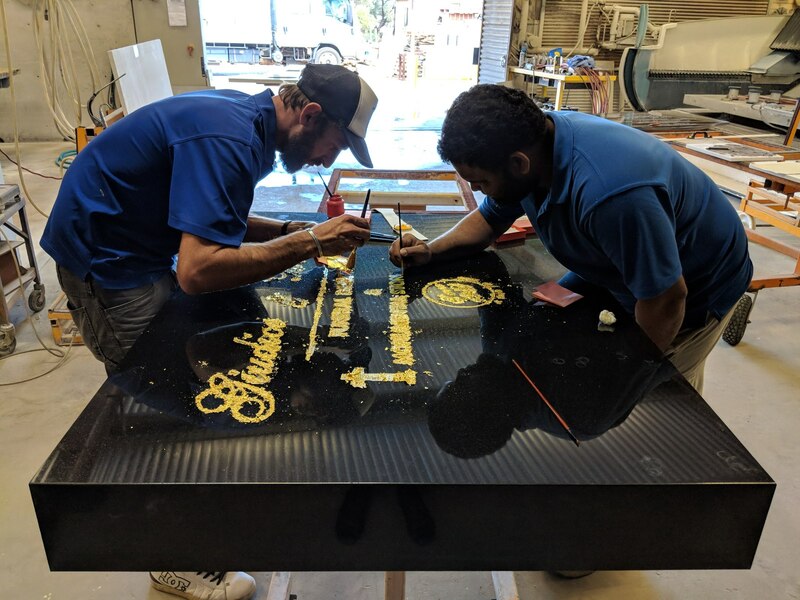 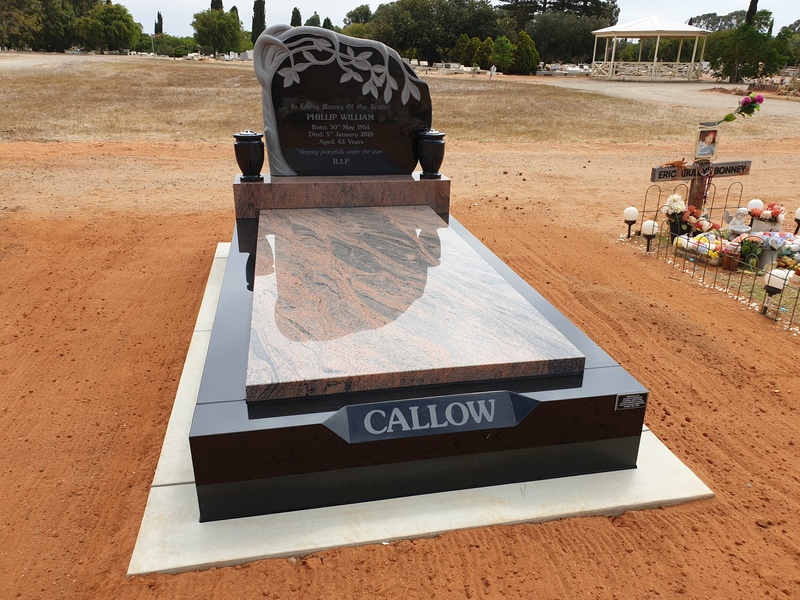 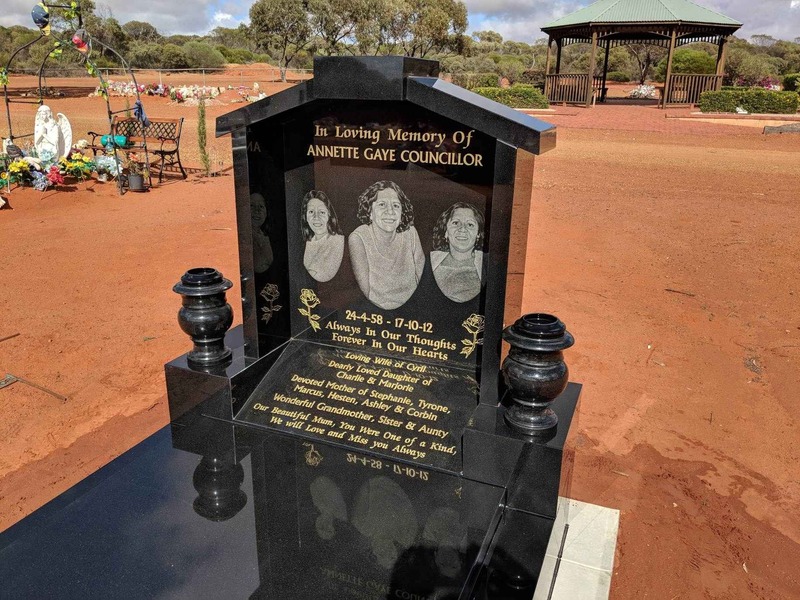 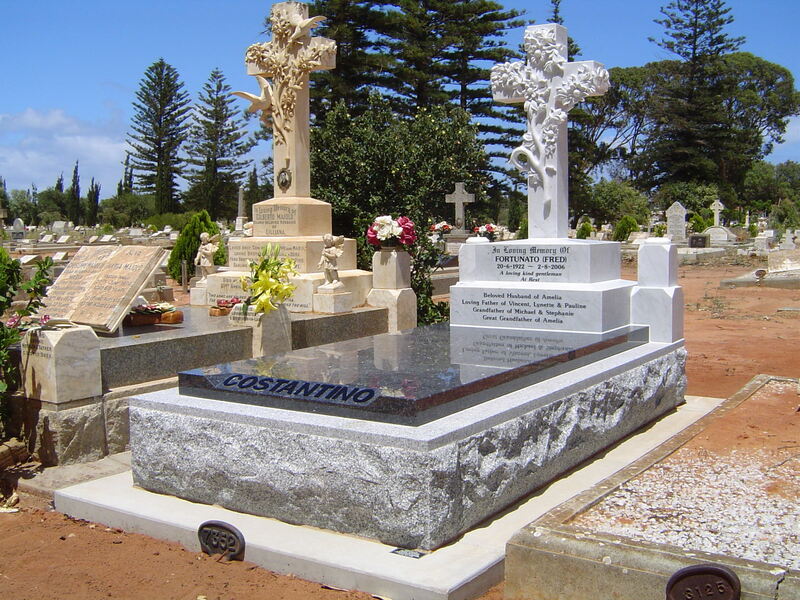 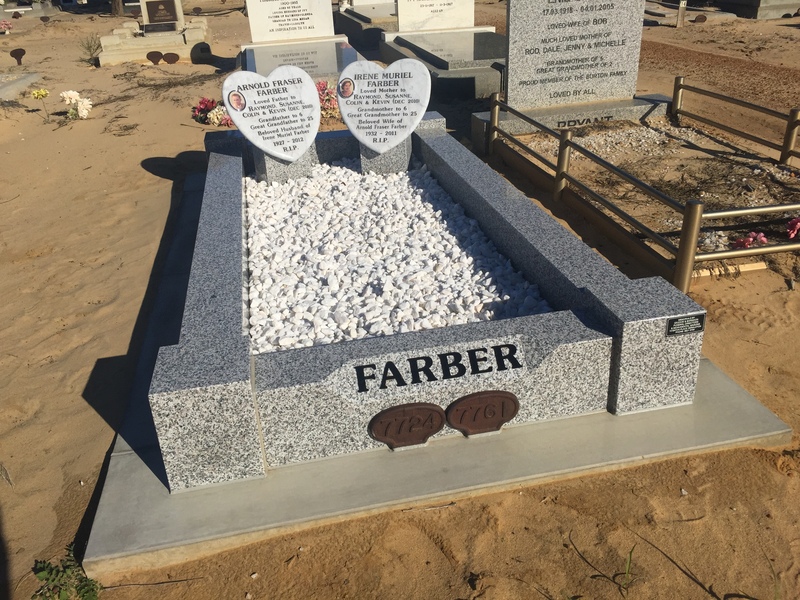 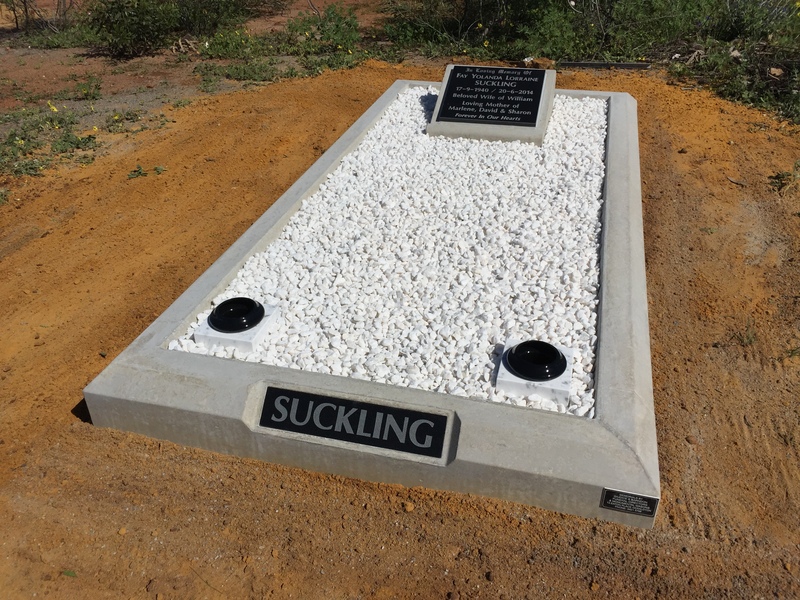 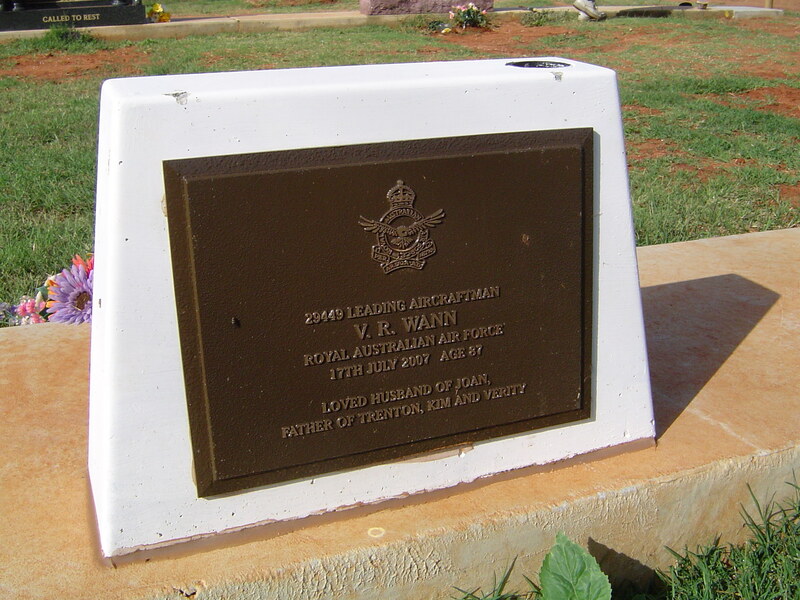 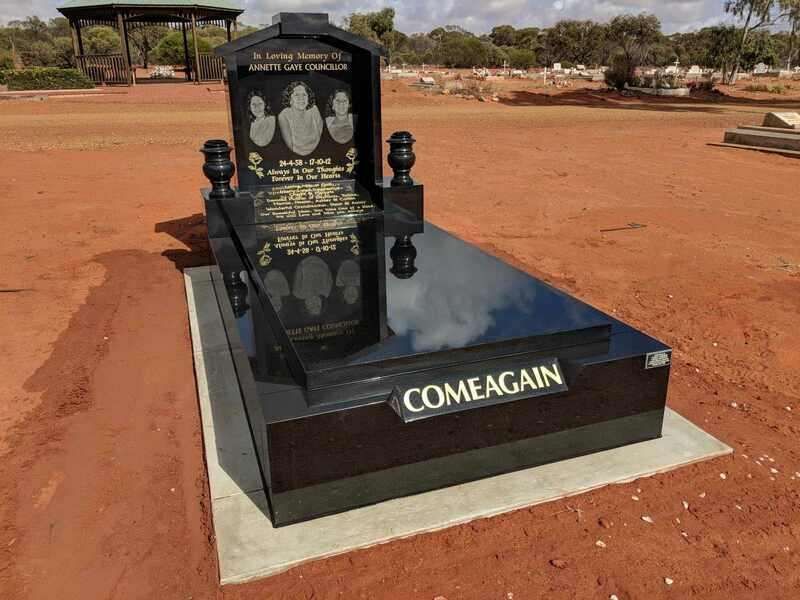 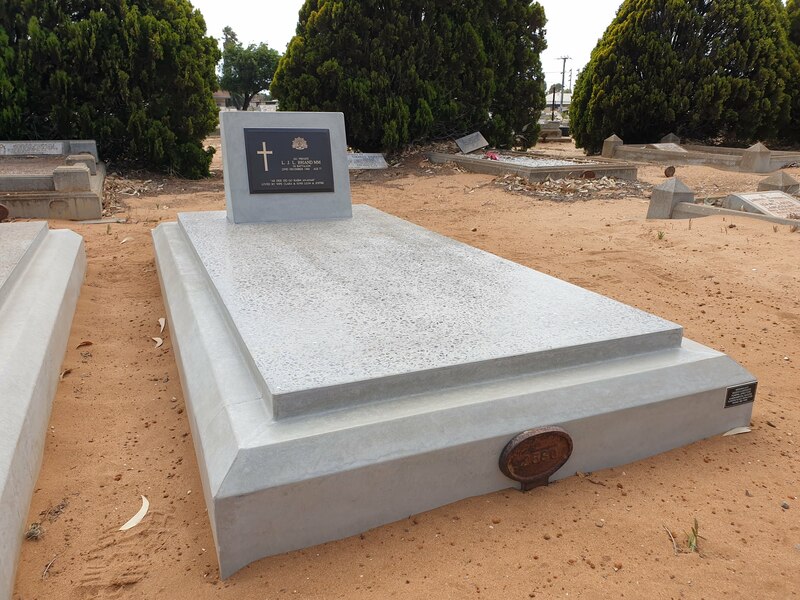 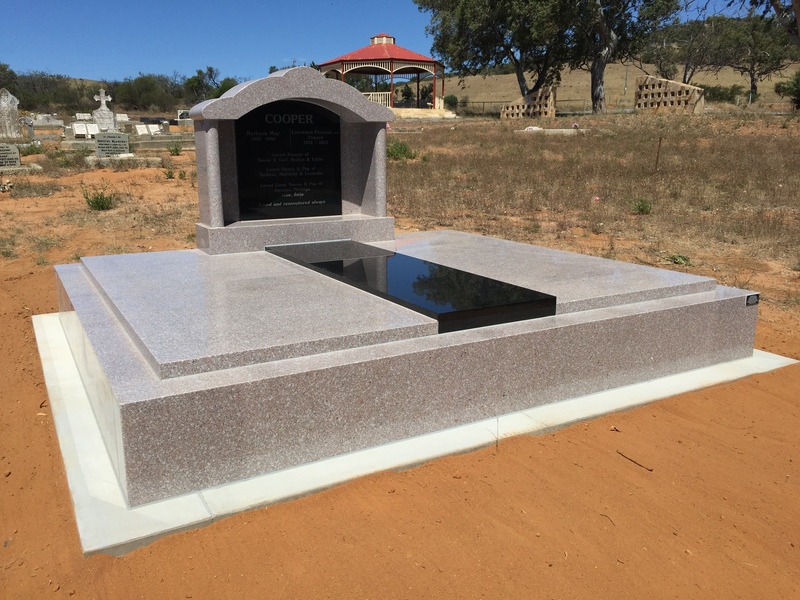 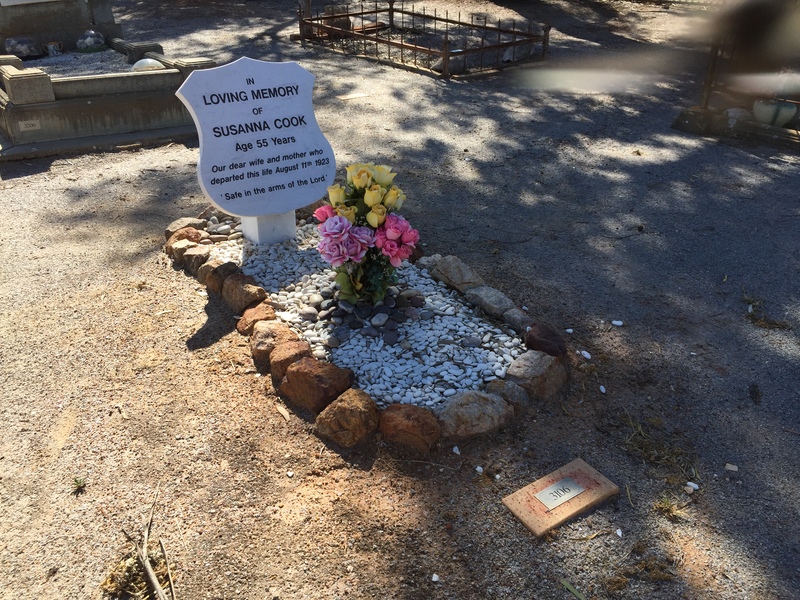 We service Geraldton and surrounding areas from Carnarvon to Jurien Bay and from Wiluna to Perenjori and supply memorials state-wide. 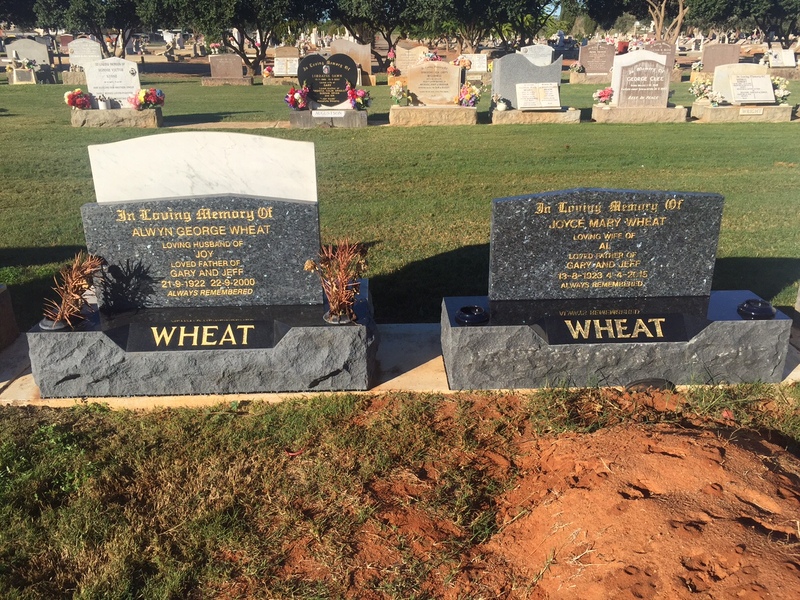 If you want More Information or a Quote, Come Visit the Boys at 13 Eaton Place, Geraldton.